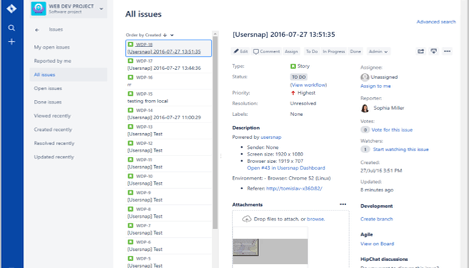 How to improve your existing Jira bug tracking process with Usersnap visual bug reporting tool in 10 minutes. 2. You never get complete bug reports: something is always missing. 3. Adding tickets manually to Jira is slow and complicated. Get 100% more information on each bug report. With the Usersnap feedback widget your receive a screenshot, annotations, browser and screen size information, the URL and much more. Visual bug reporting is super easy. "Super easy for non-technical people to give feedback. Even when they don't understand the problem or what they're looking at. Great!" 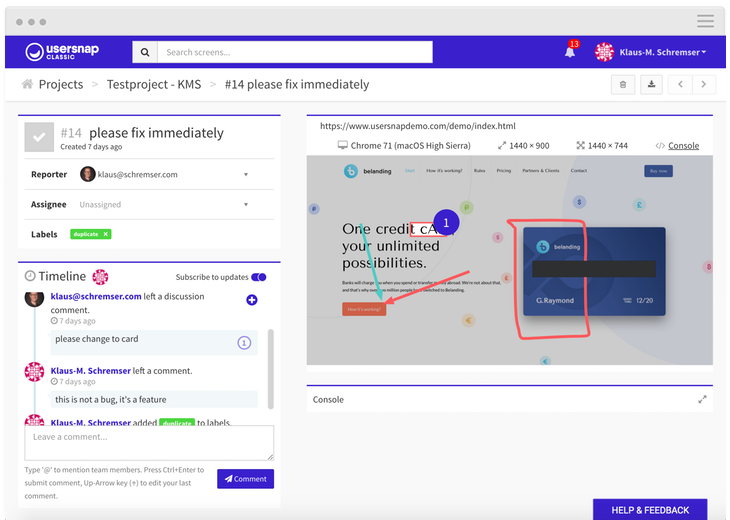 Connect Usersnap with Jira Software and receive annotated screenshots in your Jira every time a bug report or feedback is created with Usersnap. Bring designers, developers and project managers on the same page. We've spent 7 years improving & optimizing efficient visual bug tracking & customer feedback. Usersnap delivers our thousands of clients the best tool for making visual bug tracking also for non-technical people. Receive bug reports in Jira in less than 10 minutes. 1. Embed the widget on your web project. 2. 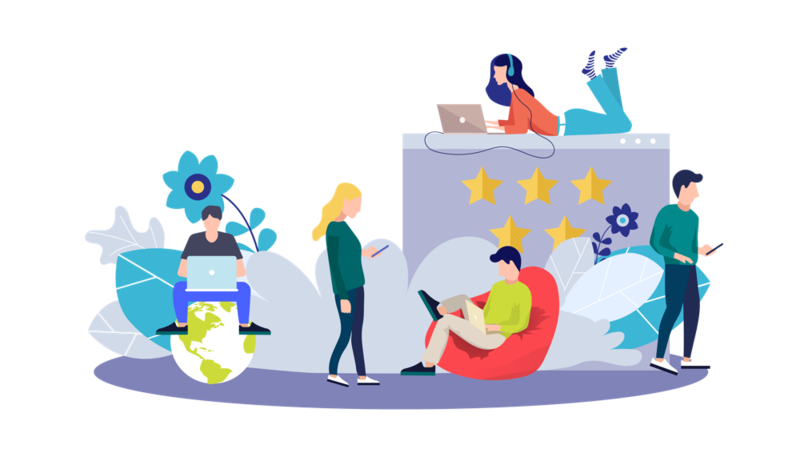 Connect Usersnap to your Jira server. 3. Receive feedback & visual bug reports from visitors directly to your Jira. What is all included in Usersnap and how will it help you? Adapt the widget to your brand and integrate it into your websites. See the visitor's comments visually with screenshot and annotations. Get a browser screenshot without any plugin required. Automatic or selective transfer to your favourite issue tracking tool. Everything your team needs to manage bugs and feedback. Collaborate, organise, label, search, prioritise. There is no limit how many people can give feedback via Usersnap. URL. Operating system. Screen resolution. Browser version. Console logs. Get notified on new issues. Never miss a critical bug again. 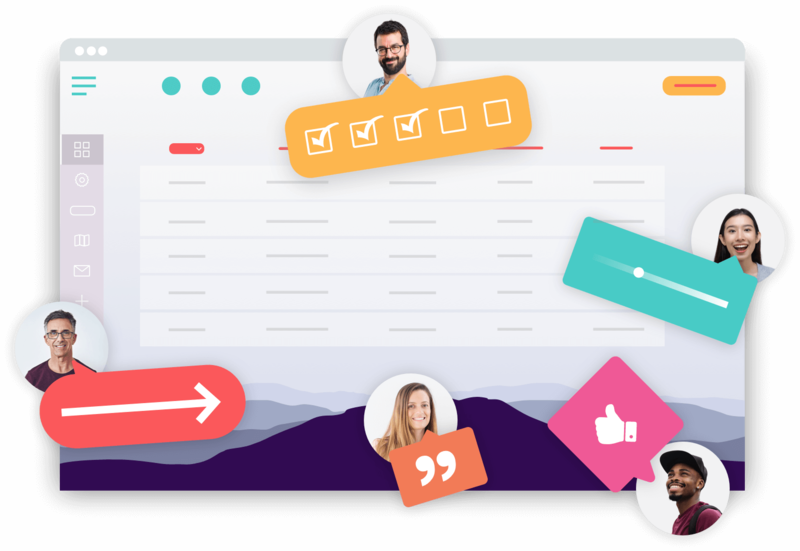 Receive bug reports & user feedback inside Slack and Intercom.